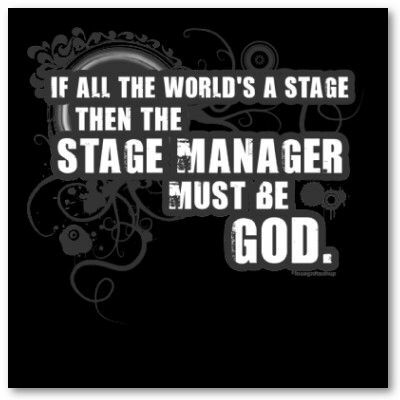 Every production needs a good stage manager. 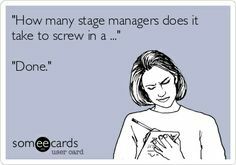 The SM keeps everything on stage and backstage running smoothly, keeps cast and crew organized and happy, and solves problems as they arise. It’s a big job but it’s also very rewarding for someone who has organizational skills and likes to be in the thick of things. The SM’s contribution to the success of the show cannot be overestimated. We’re delighted to announce that on April 9th, Sarah (Scottie) MacLean, veteran member of Powerhouse Theatre in Vernon will present a practical session on effective Stage Management. Sarah has many years experience in all aspects and will share her knowledge with us. This workshop will run April 9, 9:30 – 12:30 and is open to anyone who has Stage Managed, who is interested in doing so, or who would just like to know more about the role. 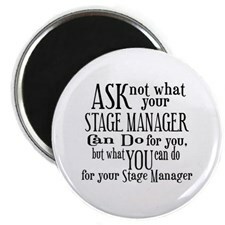 Shuswap Theatre has opportunities for Assistant Stage Managers to learn the ropes before taking it on themselves. Registration is free. Coffee and muffins will be served. To register just fill in the form below. For more information contact James Bowlby at 250-833-5134 or send him an email.